Outer: Made of plastic sheeting ICRC/IFRC Standard. Inner: Made of Single Layer Poly cotton Water and Rot Proof UV Treated Canvas Quality 200g/m2. 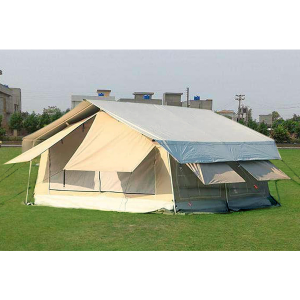 Ground Sheet: Made of plastic sheeting ICRC/IFRC Standard. Packing: One Complete Tent Packed in One Bundle.